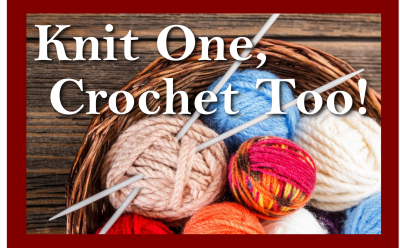 Knit One, Crochet Too! is a knitting/crochet club that meets every Monday evening. Bring your current yarn project in and chat with other yarn fanatics. All skill levels are welcome!